Think back to your first grade days when your innovative thoughts inspired the creation of gold-sprayed macaroni collages, paper mÃ¢chÃ© pieces and indoor cardboard box castles. If you haven’t noticed, the creative process has changed a bit–especially with school-age children having access to technology, namely mobile devices. 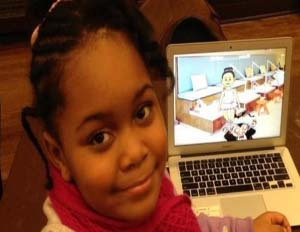 Inventive first grader Zora Bell took technology into her own hands, becoming the youngest person to create a full-version mobile game application. 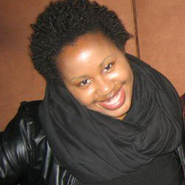 Ball, who attends Harambee Institute of Science and Technology Charter School, located in West Philadelphia, presented her creation at University of Pennsylvania’s “Bootstrap Expo,” TheGrio reported. The 7-year-old app developer built the game using a programming language called “Bootstrap” that teaches kids age 12 to 16 how to understand complex math. The pint-sized programmer learned the tricks of the trade at Harambee’s 48-week after-school program, STEMnasium Learning Academy. In case there were any doubts about Ball’s abilities, she reconfigured her application upon request. Tech-savviness runs in Ball’s family. Her older brother, Trace Ball, was aSTEM Scholar of the Year at Harambee Institute.